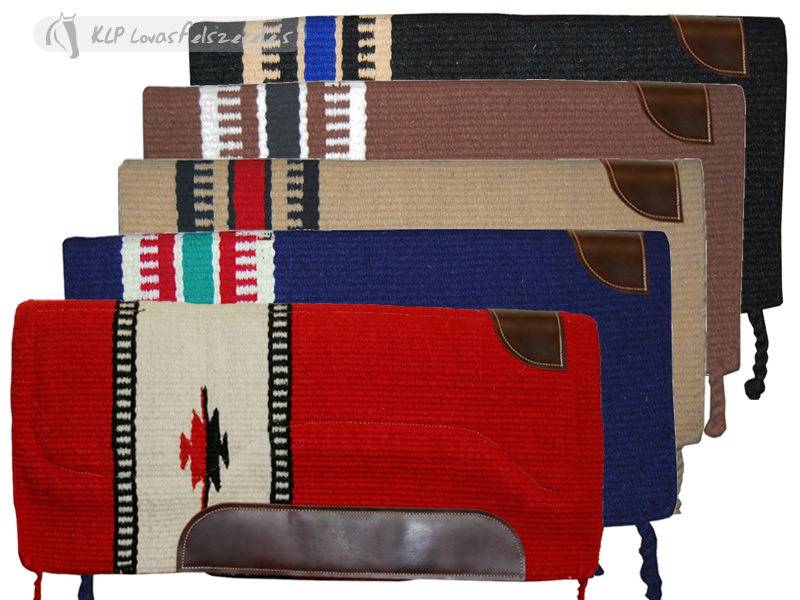 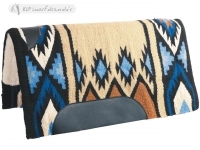 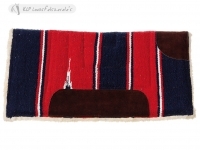 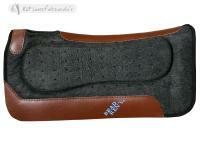 Navajo western pad in wool with shaped padded fur lining and leather wear leathers. 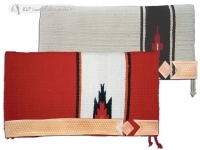 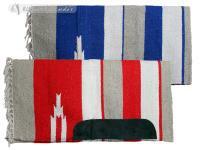 Available in various colours with geometric motifs. 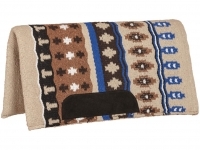 Made of wool with synthetic fur.